EghtesadOnline: Former Malaysian Prime Minister Najib Razak was arrested on Tuesday in a stunning fall from grace following a shock election loss in May amid allegations of massive corruption and misappropriation at a state fund he founded. 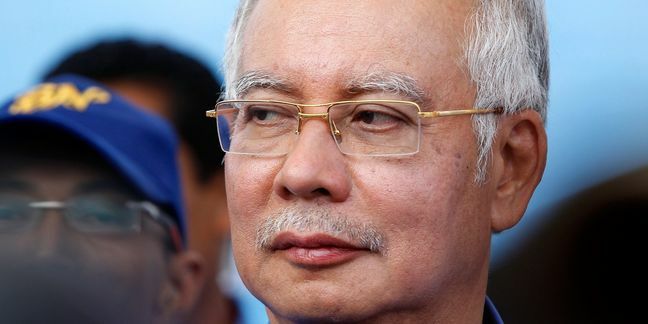 Since his loss at the polls to mentor-turned-foe Mahathir Mohamad, Najib has been barred from leaving the country and had millions of dollars of items seized from properties linked to him as part of the probe into 1Malaysia Development Berhad (1MDB), according to Reuters. Malaysian police say they have seized nearly $275 million worth of jewelery, handbags, watches and cash from premises linked to Najib, while authorities have frozen more than 400 bank accounts as part of the 1MDB probe.